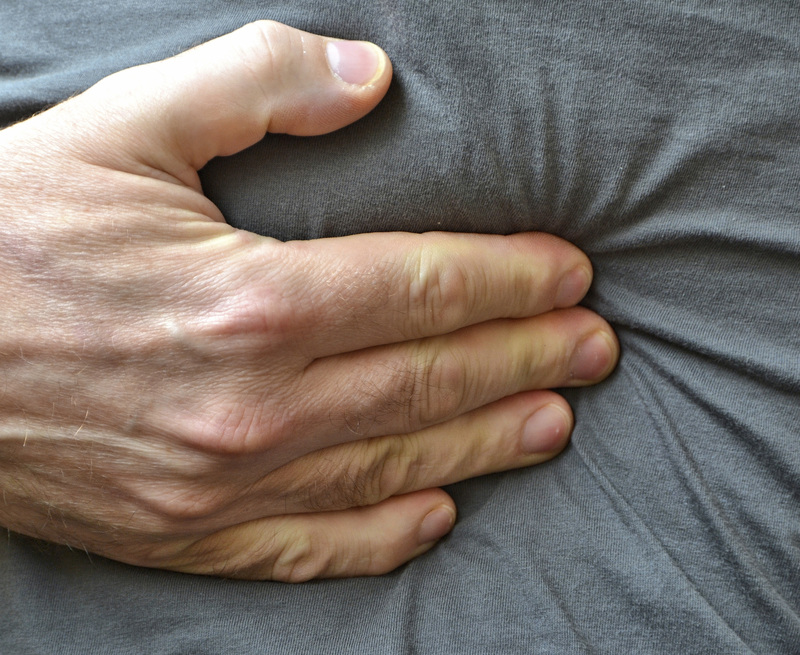 Is Your Acid Reflux Really Achalasia? Heartburn is a symptom of both acid reflux and the rare disease achalasia. Knowing which condition you have is important because the treatments are different — and getting the right one is vital to your long-term health. You know heartburn all too well. Maybe it happens after too much salsa. Or after any big meal. Or when you lie down. Acid, partly digested food and other stomach contents creep up into your esophagus, causing the inside of your chest to burn like a jalapeño. Most of the time it’s just acid reflux, or gastroesophageal reflux disease (GERD), which affects about 1 in 5 Americans. But for about 1 in 100,000 Americans per year, it’s actually a different condition, called achalasia. Knowing which condition you have is important because acid reflux and achalasia are treated differently. If untreated (or treated incorrectly), you may continue to suffer with symptoms — and continued damage to your esophagus can become irreversible. Both acid reflux and achalasia happen when the “door” from your esophagus to your stomach is broken. With acid reflux, the door doesn’t close when it should. With achalasia, the door doesn’t open when it should. The door is called the lower esophageal sphincter. It’s a ring of muscle that should be squeezed shut most of the time. When you swallow, it should relax and open to let food into your stomach and then squeeze shut again. If you have achalasia, your lower esophageal sphincter doesn’t open. Whatever you swallow gets stuck at the bottom of your esophagus, which can cause heartburn, just like acid reflux. It’s not clear what causes achalasia, but it has to do with the nerves that tell the sphincter when to open. Something causes those nerves to disappear, possibly an immune system response to a virus. Because the conditions have similar symptoms, it’s not uncommon for people with achalasia to be treated for acid reflux — sometimes for years. A gastroenterologist may do an endoscopy to look in your esophagus or conduct a barium swallow or esophageal manometry to see how your esophagus is working. Feeling like your food doesn’t go down to your stomach can be a sign of achalasia, but not always, says Dr. Gabbard. Acid reflux can cause ulcers at the bottom of your esophagus, which can cause food to get stuck, too. Dietary changes. Avoiding high-fat foods, caffeine, acidic foods, peppermint and other potentially acid-producing items may help reduce your symptoms — although it’s not scientifically proven, notes Dr. Gabbard. Weight loss. Reducing your body mass index by as little as three points has been shown to reduce acid reflux symptoms. Smoking cessation. Nicotine is thought to relax the lower esophageal sphincter, allowing stomach contents to escape back up into the esophagus. Repositioning while you sleep. Laying on your left side with your head elevated 6 to 8 inches may reduce nighttime reflux. Medications. You can take antacids (which neutralize acid) or proton pump inhibitors (which stop acid from being produced) long-term. Pneumatic dilation. In this outpatient procedure, a balloon is inflated in your esophagus to stretch open the sphincter muscle. Some patients need to repeat the procedure every few years. Botox® injection. Botox relaxes the sphincter muscle, causing it to open. This procedure is done endoscopically, through the mouth, and needs to be repeated about once a year. Because achalasia is so rare, you may need to be referred to an experienced medical center for accurate diagnosis and treatment. If you have heartburn and regurgitation once a week or less, try lifestyle changes and over-the-counter acid reflux medications first. If your symptoms don’t improve, see a doctor to be evaluated for achalasia or other conditions. Have heartburn twice a week or more. Feel that food is getting stuck in your esophagus. Achalasia: Are You at Risk for This Rare Swallowing Disorder?